Welcome to Peninsula Village! 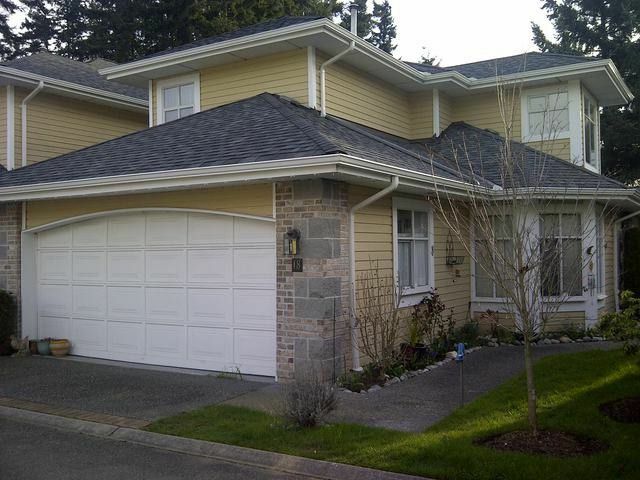 This 2 storey, 3 bedroom, end unit townhome is situated in a quiet location of the complex backing onto green space. The functional main floor layout boasts the master bedroom with ensuite, large living &dining rooms and eat in kitchen with bright west facing window. 2 good sized bedrooms & full bath are on the 2nd floor. Open loft at the top of the stairs is perfect for a computer/office area, crafts or reading nook. Original condition but lovingly maintained. Walk to shopping, restaurants & transportation. New roof in 2012. Age 19+, 2 pets allowed, no rentals.